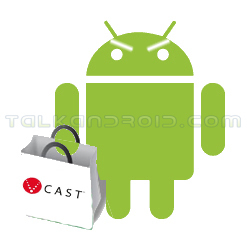 Verizon Launching V Cast App Store To Rival Android Market? AndroidandMe is reporting that Verizon has begun accepting app submissions for their V CAST App Store, which is likely going to be, as AndroidandMe puts it, their "own full-blown app store." TechCrunch wrote that the "store would be pre-installed, and it would likely be more prominently displayed than Android’s own Market for apps." Verizon has been breaking away from the original Android experience as of late, with the Samsung Fascinate Bing Search scandal, and now word of this. TechCrunch importantly observes that "it is still Google’s goal to make money with Android. If both their search and now their apps are being supplanted, what’s the point?" The upside is that this store will apparently be free (for developers to submit to, but there will be paid apps) and that it will be looped directly into carrier billing, meaning customers will be able to easily purchase apps. The standard 70/30 revenue share applies as well. And Verizon has a stated goal of accepting apps within 14 days (similar to Apple’s goals for app approvals). The downside: initially, this store will apparently only be available on Android devices running Android 2.2 or later — and obviously only the ones on Verizon’s network. In other words, Verizon is building a better app store for Android to supplant the one Google made — but one that can only be used on some Android devices. Replacing the Android Market is a big mistake in my opinion, especially as people were flocking to Verizon for their multitude of Android devices. At least the devices will likely still have the Google apps functionality, as opposed to abandoning Google support altogether. AndroidandMe adds that they "have a hard time imagining an Android phone on Verizon without the official market, but carriers love to flex their power and shape Android in their own image, so anything is possible at this point." TalkAndroid mentions that Verizon hasn't made any announcements regarding the the release date of the App Store, but "it may not be too far away." Any bets on which device gets the update first, or if it comes only to devices at launch? Developers, if you are interested, head over to TalkAndroid for the Verizon press release. Let us know your opinion in the comments or the forum.